As many of us, I like to go back to basics from time to time, specially if I been a bit away from a certain technology. Although I have been doing a lot of posting about Windows 8, Surface 2.0 and Windows Phone, I haven’t talked much about Silverlight. I started working with Silverlight from the very beginning, back when it was called WPF/E. The newest version, Silverlight 5 was released a couple of months ago, in December. I should have been paying more attention to it, but hey….time is not enough for so many cool things at the same time after all ! While I try to find more time to talk, review and share Silverlight 5 features, I wanted to do a post about how to add sample data into your Silverlight application using Expression Blend. I want this to bit a bit more visual and less text, so here we go ! Now here is a cool feature. Once you have your data generated, close the window. Now go to the collection element in the Data tab, click and hold the collection element, and drag it to the “Objects and Timeline” tab. Blend will create a ListBox element for you on the fly to display the sample data…. Run the project (F5) and you will see your Silverlight application running with your generated sample data. This is by old means an old topic. I did a presentation about this back in 2010 for my colleagues. The most excited ones where actual designers ! Have you noticed that following the previous steps you created a Silverlight application without having to write a single line of code? Of course, this is nothing compared to the power of the Silverlight platform and the .NET framework. This is sometimes mistaken by people who are not experienced developers. It is easy to put together shiny things quickly using tools like Blend. Is a completely different thing to create robust, scalable and responsive Silverlight applications, and for that you need the experience and knowledge of experienced .NET developers. Anyways, check out what you can do with a few simple modifications on the sample data generation. Here is the final result…with a few touches on the XAML so the ItemsPanelTemplate is an horizontally oriented StackPanel ! The Sample Data generation in Blend works for any kind of supported applications, including WPF and Windows Phone apps. You can generate sample data using random patterns based expressions as I have show you, but you can also generate sample data from XML files or a database. This is a really helpful tool for designers and developers to stylize and test the application without the lower data access layers that might be just under development at that point, and of course is also really useful. Expression Blend is arguably the best user interface development tool out there, although it is exclusively for .NET and now WinRT application development, which recently seems to be gaining more traction and interest from the industry. The using statement provides a convenient syntax that ensures the correct use of IDisposable objects. This means that by making use of the "using" statement properly, you are making sure that objects are correctly disposed. Now wait a minute, C# manages the garbage collection for me, and should actually dispose the objects correctly without requiring any extra code from me, right? Well, it turns out that we use unmanaged resources in our code. And that is why the "using" statement is important to make sure that those unmanaged resources are disposed correctly once they are not in scope any more. File and Font are examples of unmanaged resources. "When you use an IDisposable object, you should declare and instantiate it in a using statement. The using statement calls the Dispose method on the object in the correct way, and (when you use it as shown earlier) it also causes the object itself to go out of scope as soon as Dispose is called. Within the using block, the object is read-only and cannot be modified or reassigned." I'll be posting more samples along the way, hopefully sharing more code and samples that are useful for our every day tasks.Cheers! The imported project "C:\Program Files (x86)\MSBuild\Microsoft\VisualStudio\v9.0\WebApplications\Microsoft.WebApplication.targets" was not found. Confirm that the path in the declaration is correct, and that the file exists on disk. The problem as you can see is that the extensions file "Microsoft.WebApplication.targets" was not found. I was using Visual Studio 2010, so the first hint is that the project was looking for the extension file in the Visual Studio 2008 folder (v9.0) instead of VS 2010 (v10.0). The simple solution? just copy the "WebApplications" folder from v10.0 to v9.0. Close the solution and re-open it again and it should work fine. If you don't have Visual Studio 2010 installed or you can't find the file, chances are that you are missing some web components from the installation that are required to build/deploy/publish web applications. Try to find the files on-line or better yet, install Visual Studio 2010 and copy the files to your v9.0 folder. If you actually have Visual Studio 2010, you should actually make those projects point to the VS2010 folder instead of the VS2008 one. Now, one thing to notice is that you might be having this issue on a build server instead of your local machine. If the build server is trying to build web applications you will probably get this error since it is likely that you don't have Visual Studio installed there, and that should be the case. It is against best practices to have VS installed on your build server, it is a NO-NO!. If this is your case, just copy your local files to the server and make sure they are in the same location. Also you would probably want to make sure that .NET Framework 4.0 is installed in the server. Now, what is the purpose of this file and why it is needed? It basically contains extension entries required by MSBuild for deployment tasks of web applications. I was just surfing on-line and watching digital agencies case studies when I started to stumble upon projects I have worked on the past. Not every project is out there, or I have been able to talk publicly about it, but for some of them, I have been able to pick videos and some pictures. Here is a couple of short-cuts to the posts I have published on different digital projects I have worked on. I'm excited to share with you the R/GA Make Day Video which was finally released today to the public. If you recall my previous post on the subject, R/GA dedicated 48 hours of company time for people in the company to invest their time making things. The output was incredibly productive and creativeness on all areas where flying all around. I was lucky enough to make it to the final cut and I appear discussing the R/GA Locator prototype including the applications that we implemented including Windows 8, Windows Phone and Silverlight all powered by a MS SQL 2008 database and a small backend exposing a RESTful service build with WCF. I truly believe companies should follow the trend and start doing these kind of events more often. Although at first people might seem reluctant, once they get into it they will get inspired and quite competitive ! Wanted to share a comprehensive summary of Microsoft published hardware certification requirements for Windows 8 based computers. Check it out and make sure once you buy your new toy, it complies with everything listed there ! Lately, I have been getting into responsive, adaptive and fluid layout design techniques and development. Since Windows 8 supports native development using HTML/CSS/JS and IE has been performing quite well on HTML5 features support along with Chrome (my default browser by the way ! ), I have been getting more attracted to the idea to master the concepts behind the evolution of web applications and how we can attack the growing quantity of different devices, all with different screen sizes and resolutions, without forgetting ultra books, tablets, laptops, desktops, larger screens and out of home experiences. The slowing down trend on plugin-based web development, especially with Flash (it’s future seems darker every day) and Silverlight (which has evolved into a whole platform outside the browser) also put more weight on the importance of knowing and mastering HTML5 responsive and adaptive layout design techniques. Along my regular reading and research I found an amazing tutorial by Matt Doyle on Elated.com demystifying the whole thing and explaining in an impressive clear, concise and practical way, the concepts behind it and how to achieve a layout that can successfully and quite effortlessly adapt to a multiple set of screen sizes and resolutions. I wanted to test the results on Windows Phone, not only on the emulator but also on an actual device. Here are some screenshots from the results. I encourage you to read the tutorial first. I’m sure it will be really helpful. Is clear that the author, Matt Doyle did a really good job, since the layout adapts perfectly to the Windows device without any need for modifications. Get Responsive, get adaptive ! I found this article explaining a bit more in detail the different legislation acts and how it can go further and affect us, users and domain registrars. Make sure to check it out ! Have you ever found yourself trying to move your shapes in Microsoft Visio with the annoying result of the whole window scrolling instead of the shape? Have you look all around the place for an option to change this behaviour? Turning something on or off to see if it fixes it? Well, here is the solution: look for the Scroll Lock key on your keyboard (generally next to your Print Screen key), turn it off and you are ready to go ! Hope it helps and saves you time ! Sharing this interesting article about languages and project's life cycle on Github made by cortesi. Although Github is not very popular for developers on the .NET stack, I think the article is actually quite useful for every tech guy out there and also for recruiters and companies to have a better understanding of the Github crowd. Just a quick post to share a statement made by Tim O'Reilly about Washington's response to the SOPA act. I found it really interesting because he acknowledges piracy, but actually states that piracy losses are outweighed by the benefits of free flow of information and knowledge sharing that ends up bringing more sales to the company. It also comments on the historic fact that United States publishing industry began by actually pirating British and European works ! Is it possible to use the local physical keyboard of your development machine when using the Windows Phone emulator? To enable the keyboard in the emulator press the PAGE UP key or press the PAUSE/BREAK key. To disable the keyboard in the emulator press the PAGE DOWN key or press the PAUSE/BREAK key. Furthermore you there are a lot of different key mappings between your development machine keyboard and the phone functions. You can check the whole list in the Windows Phone Emulator MSDN documentation. There will be times where you will generate dynamic objects on your user interface. A simple example could be loading a collection from a web service and dynamically adding the items to your item controls. Later on you might need to navigate that dynamically generated visual tree to retrieve a specific object or item from it to perform any kind of modifications, which might include even deleting the item, which again will be a common scenario. Obviously the previous sample is too basic and it would be a low easier just to give the image a name and reference it from the code behind. But assume that this will be the dynamic XAML generated once you run the application and the user executes an action. Then, you don’t have access to the image item by name reference, so you need to get the ScatterViewItems that in this case was clicked and then use our FindContentPresenter method to get the image content presenter child. Hope that it makes sense and that can be useful in your Surface 2.0 development. Just on the trend of maximizing productivity, I’m using Windows Live Writer (my favourite blog writing tool) now connected to twitter to see how it goes. Keep your productivity rocking so you don’t drown into your many many daily duties. Cheers! I’m currently working on an extended series for creating a small backend with database, backend modular architecture approach and REST services to serve the different front end applications that I have been putting together for the blog. The idea is to provide a common backend framework and services to feed the different samples I create and help you out there to have a more complete series of code samples to work with. In the meanwhile, I’ll be posting small tips about how to do things on the Windows Ecosystem, which encompasses Windows 8 (Metro Style, .NET, C# and JS), Windows Phone, Silverlight, WPF, Surface 2.0 and Kinect. For this post, I’ll share with you an approach to consume REST web services from a Metro Style Windows 8 application. For this sample, you need to create a new Windows 8 Metro Style application. Once Visual Studio created the default project structure, go into your MainPage.xaml.cs file. Let’s assume you will be consuming a REST web service that will return an XML with a collection of items. You will want to display those items, but first you need to populate your data collection. Lets create the default collection field. Notice the reserved keyword “await”. This is one of the goodness of Windows 8, which allows you to program asynchronous code in a linear approach, which makes it a lot easier to read and digest. Here, we are telling the thread to await the call resolution in an asynchronous way. The method we call, will hit the web service and parse the XML response to return our Customer collection. Notice how you can use LinqToXml to easily parse the response (be aware that no failure catching has been implemented, you should always check for null values to avoid code exceptions when parsing the XML). And that’s basically it. You have been able to load a collection of customers asynchronously from a REST web service serving XML responses from your Windows 8 application. Once the collection is loaded you can bind your UI items control to it to populate and display the collection items. 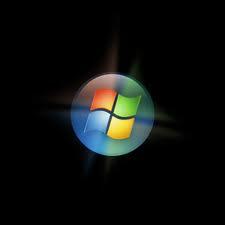 Hope it can help you on your Windows 8 Metro training. Keep tuned for more updates ! Let me know if you have any troubles with it and I’ll be more than happy to try to help you out. Just wanted to share this article about social media trends to look for in 2012 published by Tech Crunch. Social Media integration and strategy are getting bigger and bigger but they are also mutating from another mass advertisement channel into a platform by itself that companies need to integrate into their strategies at a deep level to become successful at it. "The internal matches the external and the external matches the internal..."
This is a quote from Jack Dorsey (chief executive and co-founder of Square and also co-founder of Twitter) when interviewed by the New York Times for Bits. The phrase caught my attention because it seems to me that it is extremely relevant in the present digital era. Companies often try to sell an image and an identity on their products that most of the times doesn't actually match the company's internal identity. we all know it happens all around the world. They try to sell you an idea, an identity, a sensation that sometimes we know is fake...is just a lie. From music to food, from services to advertisement the world is full of this failed intentions of producing products that reflects company's positions. This is why I believe that is really important for companies, specially for start-ups to focus on transparency and on delivering products and/or services that actually transmute into company's real internal culture. The Square example covered by The New York Times is inspiring, as some others like Facebook and Google, at least when they started. It also comes to my mind past experiences where I worked for companies and start-ups that tried so hard to sell an idea that some times didn't reflect at all the internal situation, policies and culture. Transparency and clarity should come from the inside and translate and reflect to the external. I truly believe that companies succeeding on this approach will be able to establish a solid and trust worthy relationship with customers and help the company to stablish as a valid choice for many. The concept of Responsive Design has been gaining traction over the last couple of years, mostly due to the growth of mobile and tablet devices (the iPhone and iPad success in particular), and the problem that has arisen in terms of layout design targeting multiple devices and platforms. It seems that the idea is attributed to one of the first pioneers, Ethan Marcotte around the first quarter of 2010. After that, guys like Harry Roberts and Paul Gordon have written about the subject, and of course many more smart people in the interactive and user experience fields. Detecting and responding to location and orientation. Most current websites are designed to work on a desktop browser assuming that the resolution standard for this times is around 1024 x 768. Basically, rounding up a 1000 pixels wide. A basic approach to attack this problem is to use fluid layouts, which dynamically adapt to the wide and/or height available resizing content columns to take more or less space from what it is available. However this is only a partial fix, since when screens are radically narrower (mobile) or wider (desktops, big screens, walls) they break. This is a difficult problem for designers and also developers. There are some many different screen sizes and resolutions these times that it is hard to come up with a working solution. Smartphones, televisions and interactive out of home screens make it even more difficult. One alternative is to have different web sites for different devices. This was a hot practice a few years ago when you could break apart just two categories: mobiles and desktop (basically everything else). Nowadays however, the categorization doesn’t work. Plus, having different sites for different devices is just too expensive to create and maintain for most companies. The whole point about responsive layout design is to come up with a layout that can adapt and respond to any screen size and resolution effectively responding to any device displaying capabilities. As you can see I have been mixing the term responsive with adaptive so far. There seems to be different positions about what is the right terminology and what each term implies. It seems to me that no matter how you put it, it is basically about a layout reacting and changing itself at different level depending on the display medium. You can go as far a trying to deliver a layout that constantly changes itself according to subtle and small changes or just targeting well known standard industry resolutions and screen sizes. HTML and CSS best practices can help achieve a responsive design, although I think the concept goes beyond the web environment. Windows 8 is applying responsive design using the Metro Framework which allows applications to adapt to layout and display changes effectively enabling applications to mutate from narrower and simpler layouts to full blown features display and even massive out of home experiences. Although my work has been mostly on interactive applications and not particularly on website development, I’m excited about applying this concepts to web and platform specific development techniques. I’ll keep an eye on this concepts and how do they translate to real application development practices both for Windows, the Web and Mobile. Just a teaser of a Surface 2.0 user interface in the workshop ! Continuing with the basic tips and tricks for Surface 2.0 and keeping our focus on the ScatterView control, I’ll show you how you add items to a ScatterView by code. If you run the app, it will display just one image. The DockPanel in conjunction with the UniformGrid allows you to dock the items contained to one of the borders of the table. You can define which border to dock to and the number of columns to display. Then you just need to add the button. Quick reference to what is next at Microsoft technologies, featuring cool applications and technologies which are currently being displayed at CES. Check it out here. BlueStacks is currently offering Android applications virtualization for Windows users. The company implemented a cool and seamless application called AppPlayer that allows Windows users to run virtually any Android app on Windows computers and tablets. The company has also communicated that they will release a new version of the AppPlayer application for Windows 8, both in Metro and traditional versions later this year. Check out the Engadget coverage on the subject. Just wanted to share this article real quick about the concept of designing flows instead of just pages for web development. I have seen this jump-right-into-designing-pages approach all the time on different companies and industries. The article talks about the advantages of thinking about the user flows on web experiences before actually jumping into designing the website pages. Good stuff that goes along responsive web design. When using a ScatterView control you will want to have more than one item on it. When having multiple items in a ScatterView you will need to apply a style to the collection of items. WPF allows you to define the style you want to apply to the collection. In the following code snippet, the ScatterView defines a simple style where the position, border colour and border thickness and if users can rotate and scale the items. Just beginning a series of small quick tips for Surface 2/0 development that will go from basic to advanced tips and practices, hopefully helping you with common and useful code snippets. Surface Tip: How to set a ScatterViewItem position? Hope it helps. Happy Surface ! Check this article about a clever approach on how to use Dropbox to sync up your Visual Studio extensions. Can become quite handy ! Don't forget to check out CES 2012 Keynote and everything about it. CES starts today in Las Vegas, USA and ends next Friday. I personally think that the keynote wasn't particularly good and there are no big announcements. However, it was good to see the new Windows 7/Windows 8 laptops, slates and ultra-books hardware coming out to the markets and gather some numbers from Ballmer himself. I have been working with Windows since I started studying computer sciences in 1998. I didn't have enough money to buy my own home computer until a couple of years later actually. I have seen how Microsoft has tried and failed several times to create a cohesive and compelling ecosystem. Apple has been far more successful projecting its platform as a successful consumer story, and Amazon and Google have done quite a good job on the same topic. People (meaning family, friends and colleagues) that I know often see Apple as the cool guy around, and project some level of Microsoft opposition. They often mention usability and look & feel advantages over Microsoft products and software. However, few people know the real numbers, which for companies and agencies are extremely important for planning future strategies. If you are wondering what is going to happen to all the emerging .NET technologies and Windows releases coming in the near future, and wondering if you should learn C# and .NET and get on-board, take a look at the following numbers. No matter what, the Windows platform is without doubts the biggest out there. Numbers don't lie, and although there are slight discrepancies among different sources, Windows OS market share is by far the largest. Even with Windows Phone market share being quite small compared to Apple, Google and RIM, if you add up Xbox, Windows users (both corporate and home/casual users), other commercial mobile devices, now windows phone, surface users and the upcoming explosion of Windows based ultra-books, slates and tablets, it is quite clear that Windows will be the biggest functional integrated platform in the market. If you consider the Windows Phone marketplace and the upcoming Windows Store, you can't go wrong getting on-board. In my opinion, this is a call to action to all developers, agencies and companies out there ! Just wanted to share with you the #RGAMakeDay article published by Jiri Mocicka on his cool givision site. Jiri's take is interesting cause is written from the user experience perspective. It also contains way better pictures than the ones I published on my article. I recently read a really good and comprehensive blog post from the Windows 8 team regarding security. The article discusses current security approaches and weaknesses. It also overviews common ways to compromise user's credentials on-line and the difficulties of password management. I believe that is a good read for every body and I believe important for power users to spread the word and help casual users to enhance the security over the Internet presences and different devices used on the daily digital routines. The second part of the article talks about the Windows 8 enhancements regarding security. Handy applications to help users to keep complex and more secure passwords and on-line identities and how Windows 8 provides clever and alternative login mechanisms both for home and corporate users. Check it out. I'm sure it will be helpful. I have been following Adam Nathan’s marvellous Windows Phone books. The approach and the end to end lessons (from scratch to marketplace) are highly valuable and rare. I highly recommend them for anyone out there interested in learning real world, marketplace ready Windows Phone development techniques. Although I follow different sources and I have been working with Silverlight since it was called WPF/E, I always find helpful to get back to basics. Adam’s samples are fun to follow, contain great development and real scenarios tips and they help you to practice with an objective and a goal, having the satisfaction of having a working app at the end of the chapter.